If you’re new to green smoothies, both the concept and the color may seem a little off-putting. 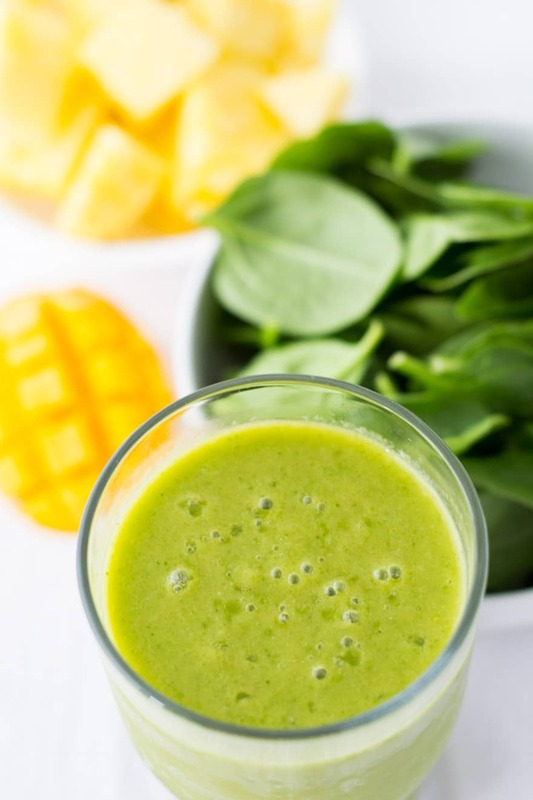 But with this Pineapple Mango Green Smoothie, you’ll never taste the spinach. It’s mild, mellow and sweet… the perfect good-for-you drink when you’re feeling tropical. Once upon a time, I found the idea of green smoothies appalling. 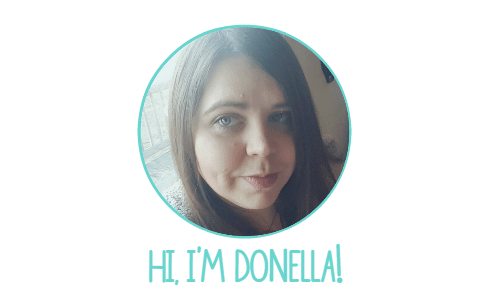 It’s not that I didn’t like green veggies — spinach, broccoli, dandelions, Swiss chard… I loved eating them. But the idea of putting them in drinks just sounded, well… yucky to me. Looking back, that seems silly to me now. Of course green veggies and fruit pair beautifully together. Just think of your favorite salads! You probably throw a bit of fruit in your green salad now and then, don’t you? This isn’t much different. In fact, it’s better. You can drink this on the go. 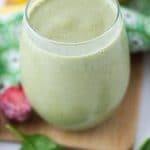 So, in thinking about how I used to feel about green smoothies, I decided to share one to ease newbies into the idea. 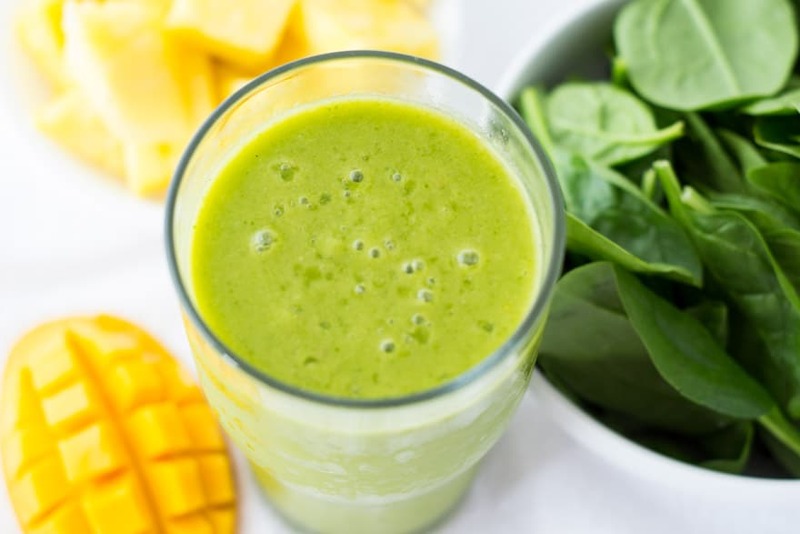 With pineapple, mango and coconut milk, you won’t taste the spinach at all. Really. I didn’t believe it the first time I tried it either. But spinach is one of the mildest greens that you can add to your smoothie, so it’s a great choice for green smoothie beginners. 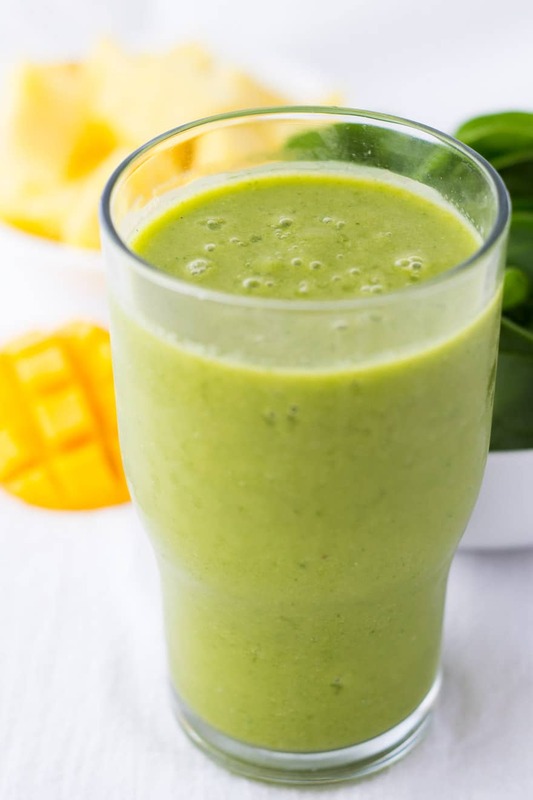 It blends well with most fruits (in fact, I can’t think of any that I don’t like spinach with), so you really can’t go wrong with tossing just a cup or so in with your favorite fruits. 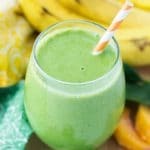 New to green smoothies? 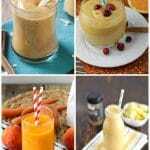 Try this tropical smoothie recipe! 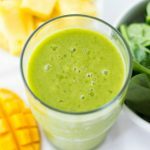 With a full cup of baby spinach in this Pineapple Mango Green Smoothie, you'll never taste the greens. It's delish! Add milk, spinach, fruit, allspice and ice to blender, in that order. Blend and pulse for 1-2 minutes until creamy and smooth. And when you’re in the mood for a non-green smoothie to use up some of that mango (I can’t be the only one who buys huge boxes of it, right? ), then try our Mango Banana Smoothie. It’s dreamy! 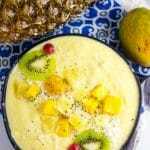 You’ll also love our Pineapple Mango Smoothie Bowl!